Evaluation of accessions from all plant groups and selection materials, according to their purposes and in line with the accepted international clasificators. Introduction of new methods for laboratory analyses. The methods used in the laboratory are standardized according to BSS. Assays performed are to determine: crude protein, fraction composition of the protein, crude fat, crude fiber, crude ash, colorimetric determination of lysine, tannins, chlorophyll, total sugars, acidity, vitamin C.
The main focus of the research in the laboratory „Phytopathology and plant immunity“ is searching for sources of resistance to the diseases of cultivated plants that can successfully be used in combination selection to create resistant varieties. 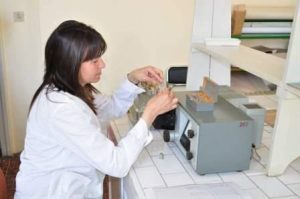 Diagnostics of phytopathogens of fungal, bacterial and viral nature that causes diseases in cereal, grain legumes, vegetables, fodder, ornamental and medicinal plants. Development of integrated schemes for plant protection. Investigations on racial and genetic composition of pathogens. The team advises and makes recommendations on the protection of plants against diseases in field and greenhouse conditions and effective implementation of plant protection measures. In the partnership with the Food Safety Agency are tested new active substances against phytopathogens agents of economically important diseases. 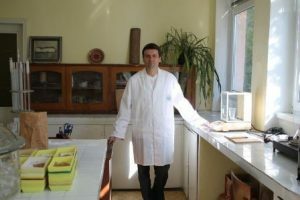 Laboratory „Phytopathology and immunity Plant“ has a persistent to brown (leaf) rust, powdery mildew and Fusariosis in wheat genotypes for the purpose of selection. • Evaluation and selection of winter wheat breeding lines by physical and chemical qualities of seeds, dough rhelogical qualities and brend baking qualities. 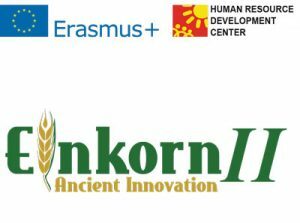 • Estinmation of the influence of agrotechnology and stress factors on the qualities of seeds, flour brend. 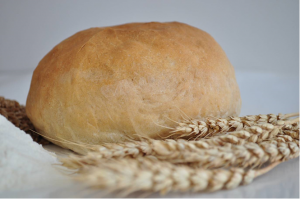 • Estimation and improvement of bread wheatmixing quality by introducing new criteria – maximum mixing effect, maximum change effect and absolute mixing potencial. • Estimation of the nutritional value and the technological qualities of rye cultivars. • Quality and nutritional value study of different species of the genus Triticum, as T. spelta, T. monococcum and T. dicoccum. • Implementation of new standardized. 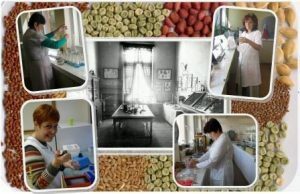 The purpose of the laboratory of Plant physiology is investigation of selection lines of cereals. 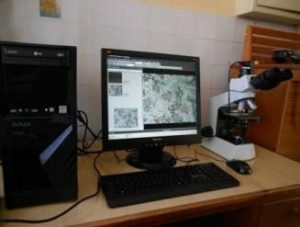 Draught resistance – laboratory analysis, vegetation and analysis under field conditions are carried out. Cold resistance – it is made by direct freeze in freezer at low negative temperatures of plants of different cereals to determine their cold tolerance. Soil analyzes to determine the content of nitrogen, phosphorus and potassium in the soil. It settled humus content, soil acidity, mechanical composition of soils. 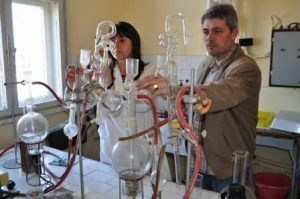 Carry out analysis of plant material: straw, grain, green mass and others. Establishes the possibility of re-utilization of the accumulated reserves and their distribution in organs of the ordinary winter wheat.